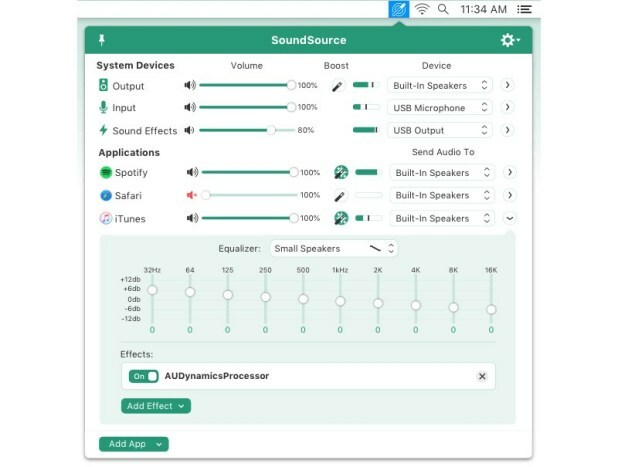 Change the volume and output device for individual apps. Adjust your Mac’s audio device settings and levels instantly, from anywhere. Even apply built-in and third-party audio effects to any audio on your Mac. It’s all possible right from your menu bar, with SoundSource. This is truly powerful audio control.